The fur vest is an everyday item of clothing. Easy to wear and coordinate with your outfit and thanks to the fashion industry it is the most seen item of clothing on internet and magazines. The fur vest changes completely the percept of the past when the fur used to be a coat or a jacket. In the last few years, the fur vest was especially create with fox fur, and in different dyes. There are differences between long models (65-80cm) and longer models (130cm). They make those models without neck or with a hood, in order to follow the trend. 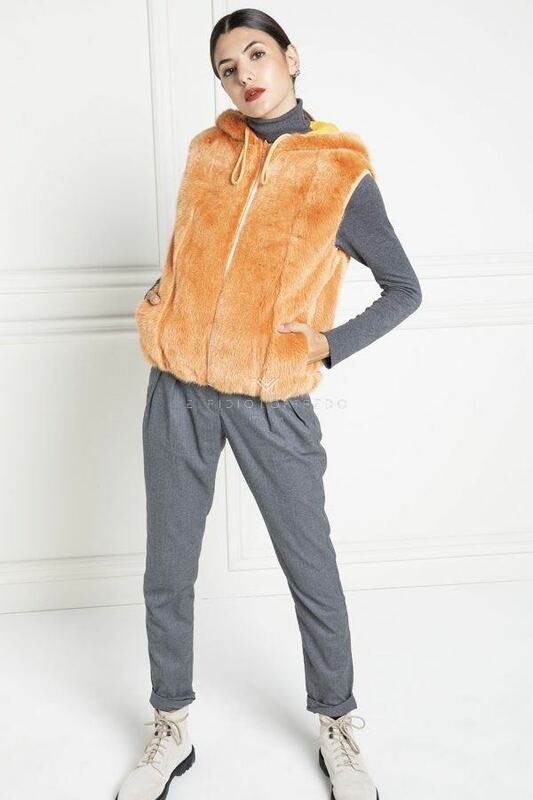 The hooded fur vest has been request by our clients during the last year, especially fox and mink. The fox fur vest is something you can wear easily and quickly, made with different colours. Fur vest, how to wear it? Which colour of fur vest should I choose? How much is a fur vest? 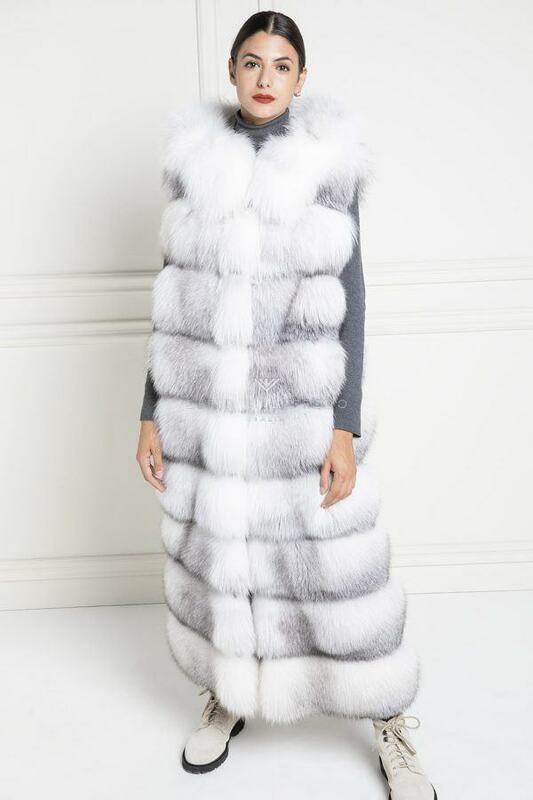 You can easily combine a fur vest with your everyday outfit, be it a fox fur vest or a mink fur vest. Many clients prefer to buy a natural colour mink vest, having a shorter nap than a fox. The hooded fur vest has been usually create for clients who prefer shelter themselves from the wind and the snow. You can find fox vest in natural and eccentric colours, being mutation foxes full of shades and rare colours. Often realized with lengths of 130 cm, they produce fox vests with vertical leather and very innovative techniques to create lighter leathers. 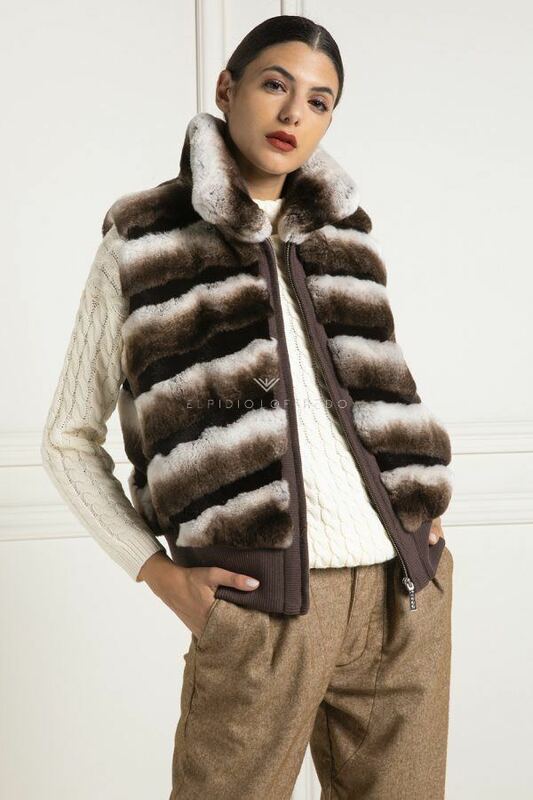 Chinchilla and sable vests represent luxury. Elpidio Loffredo’s artisans mainly produce chinchilla and sable vests in natural colours and they often create long fur vests. For the most choosey clients Elpidio Loffredo also produce full white lynx vest, or hooded Canadian lynx vest, large and with cashmere or shammy belts. Many people buy “eco-fur” vests and think to wear something ecological and to save money above all. Unfortunately, most of them don’t know that ecological fur is nothing but a synthetic fur. Harmful for the territory and above all not biodegradable. Which colour should I choose? Fox fur vest is very required. Our clients mostly use natural colours. Natural fox fur is absolutely the easiest to combine with your outfit. 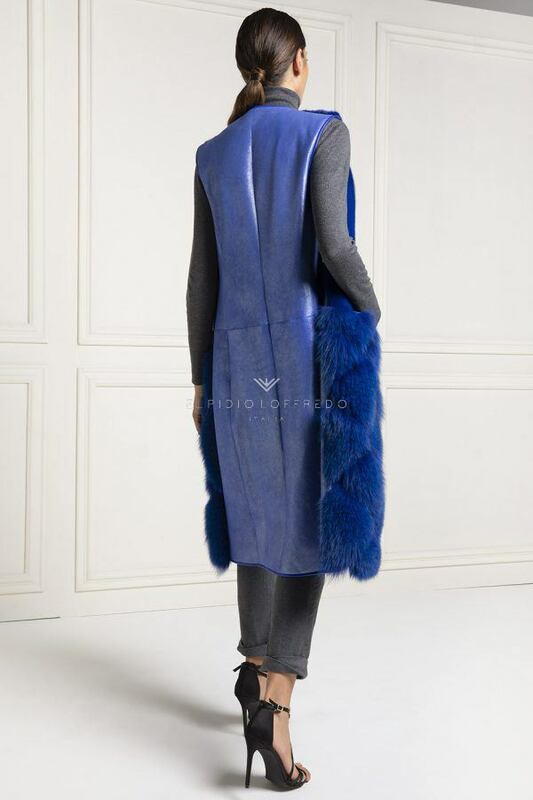 Particularly requested is the hooded black fox vest or blue fox vest. Unique and not easy to find are fox vests dyed by mutations, with long nap and shades impossible to find. Elpidio Loffredo make mink vests with a particular technique of production, in order to create a very soft and comfortable fur, especially because this gives to the client the chance to wear a jacket with leather underside. 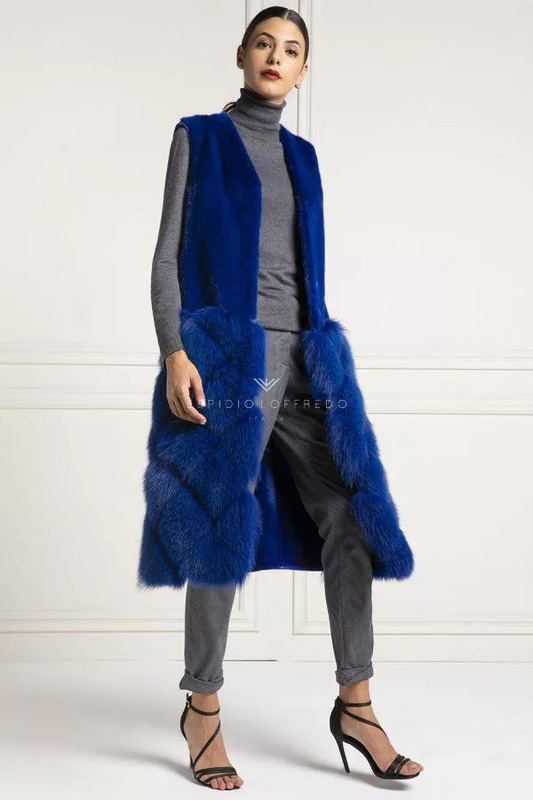 Our clients mostly require mink vests with light and natural colours such as silver blue mink vest or sapphire mink vest. Some clients prefer dark colours, so we also have black mink. 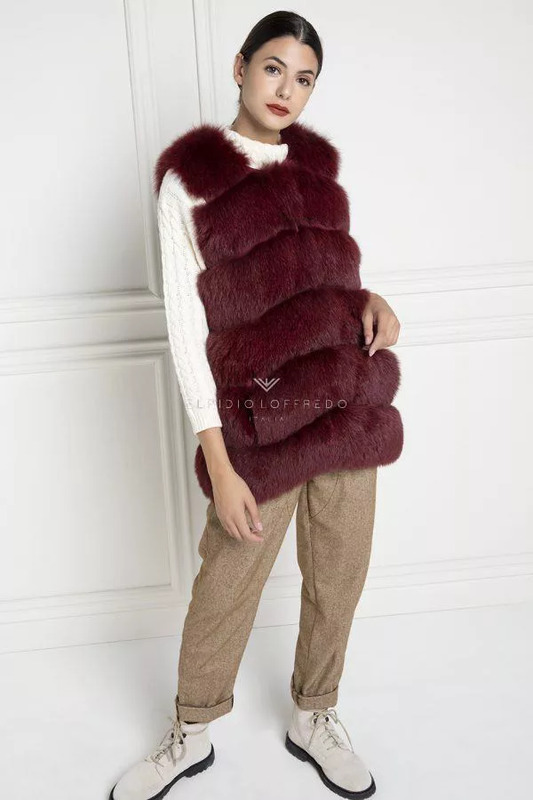 About chinchilla vest, they are most of the time realized with natural colours and wrought with the smallest chinchilla in order to create a softer fur. Thanks to our clients¬ requests Elpidio Loffredo added to his collection green chinchilla vests and toffee chinchilla vests. 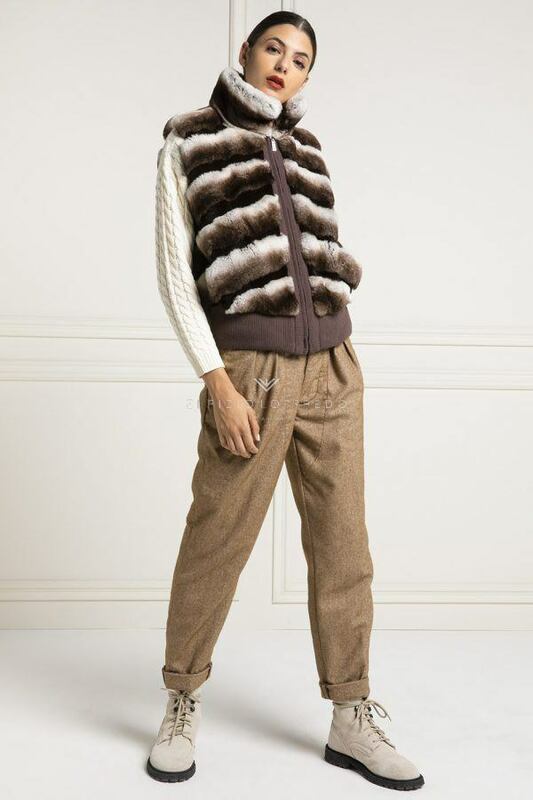 Sable fur vest and lynx fur vest are made with natural colours. The price of fur vest varies depending on different factors, such as the quality of the leathers and place where the fur is from. How much is a fur vest? 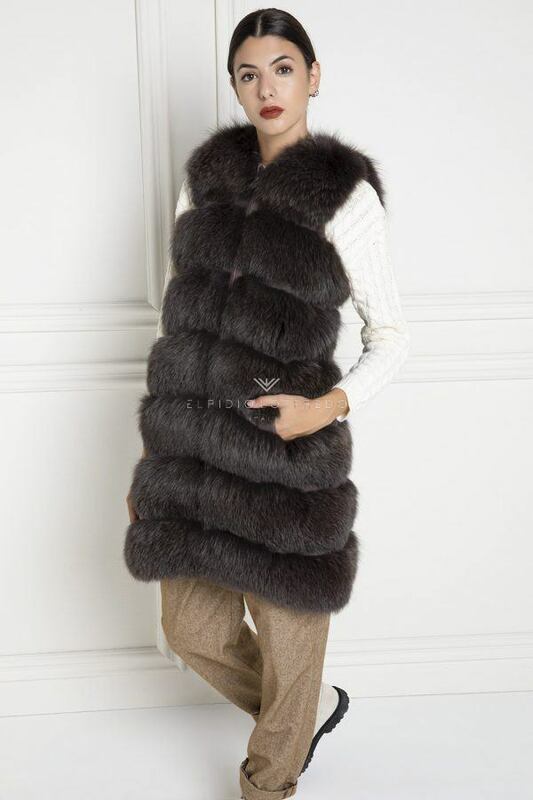 Is a very common question that our clients search on google, to understand practically the price of fur vest. 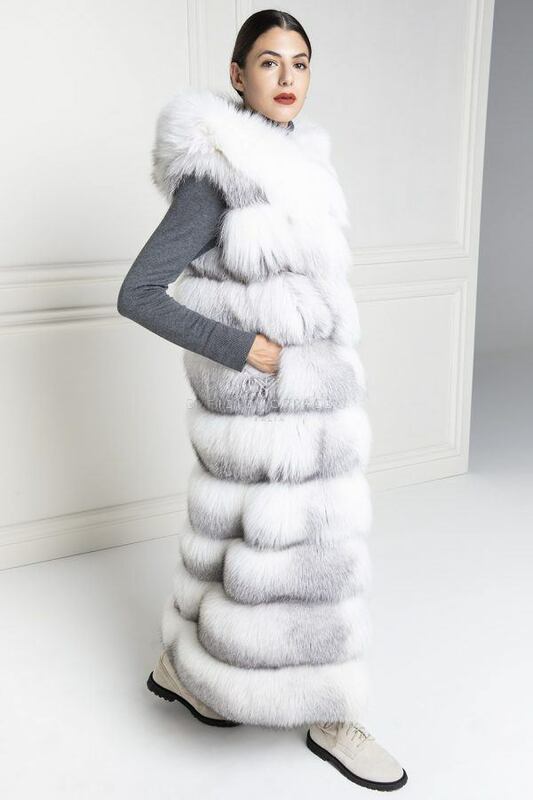 Usually what determinate the price of the fur vests is above all the kind of fur used for the production. Obviously also the kind of work made and place where the leather is from effects on the price. The low prices online can fool the people and they do not care about the quality of the leather or where the fur is from. 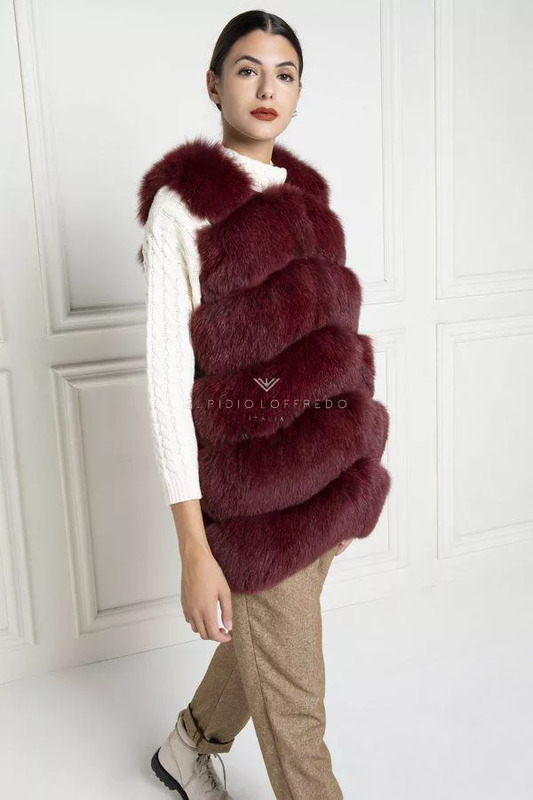 Elpidio Loffredo offers also for the fur vests a reasonable price, but a higher quality. The prices of the furs always depend on the numbers of leathers used, and this means that the price of a mink fur vest will be different from a fox fur vest. 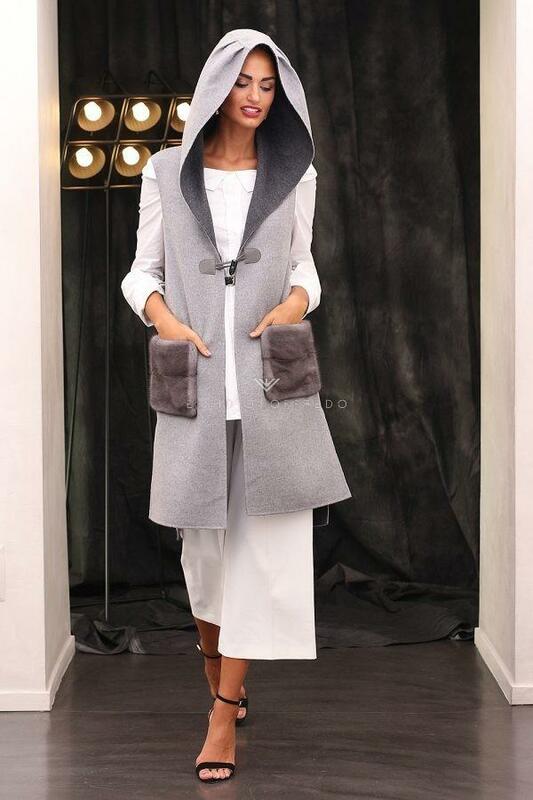 Another decisive factor for the mink vest price is the length. A shorter vest will take for sure less leather than a longer one.